John Wesley Hill, a leader of the recall committee, said his group is required to turn in 4,353 signatures of Norfolk voters and that goal has been met. Now he is ready to submit the signed petitions with 4,700-plus names to the Norfolk Registrar’s Office this week. The group was required to get 4,353 or 10 percent of the 43,000 residents who participated in the contest which elected Burfoot to office in 2013. But Hill said to assure that his group has the required number of signatures, it will submit petitions with 4,700-plus names to the Norfolk Registrar. According to Norfolk City Attorney Bernard Pishko, the Norfolk City Registrar will then certify if the committee has secured the required number of signatures. If so, the Registrar then will submit the petitions to the Clerk of the Circuit Court who will assign a judge to the case with Burfoot as the defendant and the committee as plaintiffs. 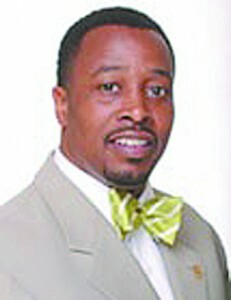 Hill said many Norfolk residents assumed that the committee was seeking a referendum to have Norfolk voters determine if Burfoot should be removed from office. However, in this case, a Norfolk Circuit Court judge will schedule a hearing before the court. The judge then will rule on the committee’s claims that Burfoot has lost the trust of the city’s residents and is “unfit” to remain in office. Earlier this year, a federal court handed down a multi-count indictment against Burfoot stemming from his alleged acceptance of cash and other gifts totaling $475,000 from the Tivest Development Company while he was serving as Vice Mayor of Norfolk. Burfoot’s trial on the case has been “indefinitely” delayed pending a Supreme Court’s ruling on the case involving former Virginia Governor Bob McDonnell and his wife. They were indicted and found guilt of receiving thousand of dollars in gifts from the owner of a nutrition supplement company. If the judge agrees with the committee’s contentions that Burfoot “is unfit” to retain his job as Norfolk City Treasurer, he will schedule a hearing where Burfoot will be allowed to defend himself against the committee, according to Pishko, based on the State Code, State Statute 24.2-233. Based on what occurs during the hearing, the judge will then render a decision as to whether Burfoot should step down or remain in office. According to Hill, the recall committee is using a state statute to carry out the recall effort as opposed to a local ordinance because Burfoot, as Treasurer of Norfolk, is a state constitutional officer. Hill and Pishko agreed that this is the first time that such a recall effort has been used in the city of Norfolk to remove a state constitutional officer from his post. Hill said that the committee and the city council are awaiting an audit of the City Treasurer’s accounts, to assure that there has not been any mismanagement of funds during Burfoot’s tenure.